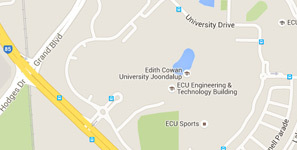 Welcome to the Edith Cowan University (ECU) Contractors' information website and Campus Access Induction facility. Should you have been invited, or have successfully tendered, to undertake work for ECU you are required to first satisfactorily complete the University's online Campus Access Induction. All workers are required to complete the Campus Access Induction and will receive a unique induction number and a photo ID which they must carry at all times when working at an ECU campus. Click here to complete the Campus Access Induction, which includes Responsible Officers training and Visitors Permits. For assistance in completing the induction please see: Campus Access Induction Manual. Each person entering an ECU worksite to perform any work under contract must successfully complete the online Campus Access Induction. This must be performed by each individual and cannot be delegated or performed on behalf of another person.